In case you didn’t know, I currently work as an English teacher in Nagoya, Japan. My company is centered around three major Japanese cities (Osaka, Nagoya, and Tokyo), but it also has quite a few schools in less central areas, including some ‘rural’ communities (Japan’s definition of rural community generally being ‘a town of about 300,000 people, and nearly as many pachinko parlours). These schools usually employ just one or two teachers, meaning that when one of them is sick someone from the closest hub city will be called out to cover their classes. These are technically classified as business trips, which makes me feel grown-up, so we’ll stick with the nomenclature. 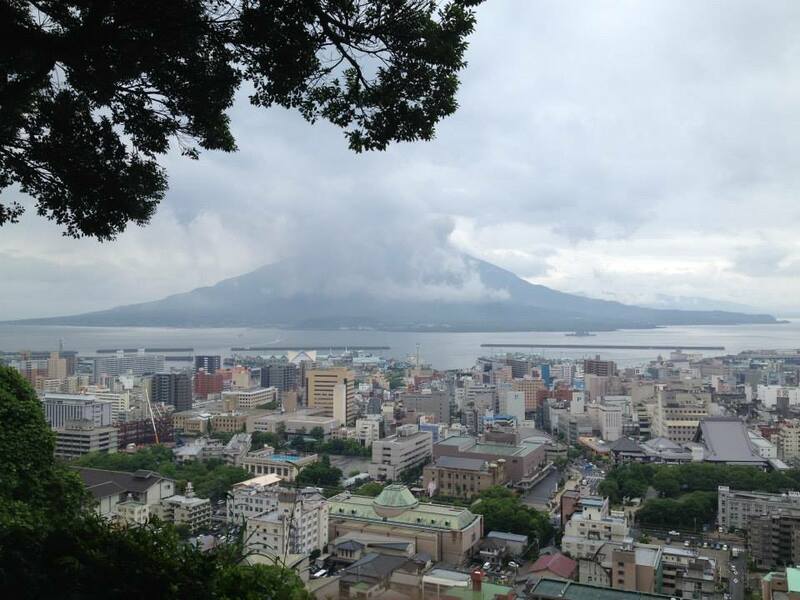 Last summer I was lucky enough to be chosen for a week-long trip to Kagoshima. I climbed a cat-filled mountain with a dark past. I took a ferry to a volcano. I spent part of my daily stipend on a really great umbrella. It was brilliant. 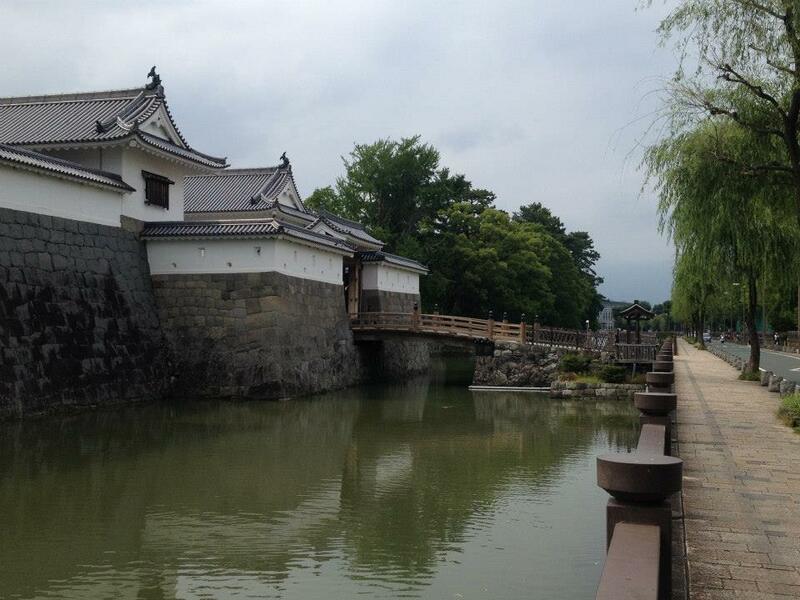 More recently I went on another business trip, though this time my destination was somewhat less exciting: Shizuoka. I’d been to Shizuoka once before, and I didn’t have a great time. The area around both the school and the hotel seemed to consist mainly of ‘massage’ massage parlors, hostess bars, strip clubs, and endless signs featuring photos of women with sultry body language and thousand-yard stares. There was nothing for me there: even if I were really into depressing red light districts Nagoya already has that pretty much covered. But, when offered the chance to return to Shizuoka on a one-day business trip I decided to go. Why? Well, at the risk of sounding incredibly annoying I’ve forced myself to get into the habit of trying new things. God, I know, I sound like one of those bellends whose lives only seem to exist as a series of cloying Facebook status updates. But my point is: this last year some of the best things I’ve done have been a result of my saying yes to something new, difficult, unnerving, or just not initially that compelling. Coming to Japan was hugely intimidating. Actually making a solid effort to learn Japanese forced me to try very hard at something I’m naturally very bad at, which is itself something I’m naturally very bad at. Climbing Mt. Fuji seemed like a lot of money and effort for very little reward. But all of these – and lots of smaller things – turned out incredibly well, when otherwise I would have just been sitting in my living room being bothered by the internet. So, I took the bullet train to Shizuoka to teach a day of classes. As before, the town wasn’t anything too special; while seeming far less sleazy this time around, there’s still wasn’t a whole lot to distinguish it from other cities. In my lunch break I had some average ramen and walked around a relatively nice park. What did distinguish my time there were the students. First, I had a 80-minute lesson with two mid-60 year-old women (let’s call them Naoko and Mayumi, though I’ve changed names since things get a little bit personal further down). We were supposed to be discussing news reports on space travel, but we quickly veered off onto other subjects. Among other things, at one point Mayumi spent ten minutes quite happily telling us about her husband – a Buddhist monk who, upon marrying Mayumi decided to forbid her from leaving the country. She told us that she travels around Japan a fair bit, but in over thirty years of marriage she’s never gone on any of the international trips she planned on. A few years ago her friend invited her to go to Canada for her birthday, to which the husband agreed, only to later thrust divorce papers on her, stating very plainly that it was a choice between her marriage and her trip to Canada. In the end, she chose her marriage. That lesson was more interesting than most, but since it was quite highly structured there was still a lot of time spent talking about space travel (Something they didn’t even feign interest in, with many discussion questions meeting answers like ‘No, I have no interest in space or going into space’, or ‘I’d probably die before we reached Mars, so I don’t see the point’). After the first lesson, however, Naoko and Mayumi signed up for a conversation class alongside a third student we’ll call Yoko. Yoko was also very high level, and also very nice, but rather less talkative than the other two. It was in this lesson that things became really interesting. After discussing the recent abduction of two Japanese citizens by IS, I asked about their opinions on various Japanese political and social issues.All three were thoroughly unimpressed by the ruling LDP party, but were equally unimpressed by the state of the opposition parties. Extremely interested in politics, they were all very worried about the government’s increasingly evasive talk surrounding Japan’s role in world history, particularly during World War 2. This conversation alone was fascinating. It’s so rare to hear people talk about these kinds of things, especially during a lesson, and I’m kind of ashamed to say that I was (happily) surprised to hear elderly Japanese people taking such liberal stances on these issues. It’s very easy to get the impression that older people in Japan are almost all ultra-conservative, but obviously it’s not that simple. Then we started talking about the war itself, and though both Naoko and Mayumi were too young to have lived through it, they relayed some stories their parents told them when they were children. Naoko’s stories concerned the slow degradation of life during and after the war; her parents selling their clothes and possessions piece by piece to afford food. The post-war period and the long, difficult recovery of both economic and national hope. I can’t hope to do them justice here. And somehow, Mayumi’s stories hit even harder. Her parents experienced the fire bombings of Tokyo, and she described how their descriptions of their experiences were so vivid that for years she had nightmares about being caught in the bombings, or seeing it from afar, alone in the woods at night. Wanting desperately to hear more, but not wanting to keep treading on obviously-difficult memories simply for the sake of my own curiosity, I started to veer the conversation back to something lighter. But then Yoko interrupted me, and told us that she’d lived through the war herself. Without further prompting she explained how, as a small child, she moved with her family to occupied Manchuria in the early days of the war. Because she was so young she doesn’t have too many memories of the time, but she does remember the end of the war very clearly, when Soviet troops moved in and, well – you can look up the specifics of the Soviet invasion of Manchuria if you like, but all that really needs to be said is that Yoko’s few memories aren’t good ones. After that we talked for a few more minutes, and then our time was up. I thanked them for the conversation, telling them how fascinating I found their stories. In turn, they told me they were very happy to talk about their lives and their experiences with someone so eager to listen. After that I taught a few more classes, caught the train, and headed home. I realise that this blog post doesn’t have an overarching point, or really a message of any kind. It also veers kind of strangely between light-hearted observations of my time in Japan and incredibly-serious discussions I had about students’ personal experiences. But I suppose if this post has any point at all it’s that sometimes my job can be very special. It can be easy to get a little bored, and see it as just a job and nothing more. You’re teaching people English, and the purpose of any conversation that ensues is to practice their grammar, listening and fluency, and that’s the end of it. Conversation usually revolves around hobbies, holidays, and favourite foods, because that’s the easiest, most comfortable thing for both parties. But if you’re open to it you can sometimes be lucky enough to experience moments of personal connection that stick with you. You’re not necessarily going to meet your best friend, or radically change anyone’s life, but connections with someone can be made, and you can both experience something worthwhile, even if you never see each other again, just as I don’t expect I’ll ever see Naoko, Mayumi, or Yoko ever again. I don’t think I’ll ever forget those snapshots of Naoko’s parents, Yoko’s childhood, or the vividness of Mayumi’s nightmares, though. A handful of times my job has become something special for 5, 10, 15 or so minutes at a time. Yesterday my private student of four months left to work in America, and we were both genuinely upset to see each other for the last time. Recently a quiet, sullen student has become much happier and more talkative in my lessons, and we’ve been able to have some fun conversations after nearly eight months of grammar drudgery. This kind of thing might only happen a handful of times, but that’s more than enough for me. This entry was posted in Actual Real Life Stuff, Japan. Bookmark the permalink. Really interesting to read this, Nick – your take on Japan (for me, “a faraway country about which we know little”) is fascinating. I look forward to more.